Regional heats will take place between 8 – 11 April, after school hours. Kei te rere te whakaaro huri noa o Aotearoa mē hiahitia ana kia noho kotahi, kia noho hūmārire a Aotearoa me kaha kē ake tā tātou tohe, tā tātou mahi hei whakatau i te whakahāwea me te tūkino ā-iwi. Engari ki tēnei ao e tere rawa nei te tōtara wāhi rua me pēhea hoki? Me pēhea te tuku kore noa iho ki te whakatoihara iwi he oti rā te tuku tautoko ki te tangata whai wāhi ki te whakakore i tāna whakatoihara? He aha ngā tūmomo kupu, tūmomo mahi hoki hei āwhina i te whakakotahitanga i ngā iwi he rerekē te ahurea, te whakaaro hoki? He kawenga anō o te mōtika o te wātea ki te kōrero? Me pēhea e ō tātou mana whakahaere (arā te kāwanatanga, ngā kaunihera ā-rohe, ngā kura) te whakarite haepapa, whakatū tōkeke hoki mō ngā iwi mō ngā matawaka katoa? Me pēhea e tātou ki ō tātou hapori te whai whakakotahitanga me te manaakitanga? Ko te Haepapa hei rama mō te ira tangata. Kia kaua ia e tineia ki ngā hau tukipoho o te aupēhi me te whakawhere. Ko tō te haepapa kaupapa ko te kotahitanga o waenga o ngā iwi katoa. He aha te kai a te rangatira? He kōrero. He aha te tohu a te rangatira? He manaaki. He aha te mahi a te rangatira? He whakatira te iwi. Ko tētahi kupu whakarite, whakataukī rānei mai i tō whakapono, mai i tō Māoritanga. Me reo Māori, reo Ingarihi rānei te whāikōrero. Me 7 ki te 8 mēneti te roa o te kōrero. Ki te poto ake i te 6 1/2 mēneti, roa kae rānei i te 8 1/2 mēneti ka tangohia he māka, ka whakatupehia rānei. Kāore he tūnga pepa kauwhau, he hopureo rānei o ngā whakataetae ā rohe, ēngari mō te whakataetaea ā-motu. Mā te urunga ki te whakataetae e whakaaetia ai e te ākonga kia wātea tana whakaahua me tana whāikōrero hei whakatairanga i ngā Tohu Whāikōrero. Ki te kore tēnei e whakaaetia, mā te whākī ki ngā kaiwhakahaere te kore e whakaae e tautokona. www.youtube.com/c/RaceUnity – this is the YouTube channel for the Race Unity Speech Awards. Have a look through the finalists’ speeches from previous years to get inspiration for your own speech. How can you build on what has already been said? www.thatsus.co.nz – a page where New Zealanders share their experiences of racism, and what it means to be a New Zealander. This website is a powerful example of how telling personal stories can have an impact – is there a story that you could share in your speech? www.givenothing.co.nz – the Give Nothing to Racism campaign page, launched by the Human Rights Commission in 2017. If you haven’t already seen it, be sure to watch Taika Waititi’s video asking us to give (nothing) to racism. contain realistic and practical suggestions for improving race relations in Aotearoa/New Zealand. Judges are encouraged to confer together to determine the final outcome, especially if the marks between the top two or three students are very close. In that case, other considerations (such as those mentioned above) could possibly tip the balance in a particular student’s favour! At the regional level and for the national semi-finals there will normally be three judges, often including a member of the NZ Police, the Human Rights Commission and, where possible, the Office of Ethnic Communities. For the national final there are usually five judges, representing the NZ Police, the Human Rights Commission, the Office of Ethnic Communities, the Speech Communications Association, and Māori.  We’ve developed a pack of resources to help teachers support students interested in the Race Unity Speech Awards and Hui. These resources can also be used for any class or group of students interested in exploring contemporary race relations issues. Thinking skills – learning to use creative, critical, and meta-cognitive processes to make sense of information, experiences and ideas. Managing self – self-motivation, a “can-do” attitude, and with students seeing themselves as capable learners. Relating to others – the ability to listen actively, recognise different points of view, negotiate, and share ideas. Participating and contributing – developing the capacity to contribute appropriately as a group member, to make connections with others in the group. The Race Unity Hui is also a great opportunity for students to learn about race relations issues. In past years a number of teachers have brought whole classes of students to the Hui, with great benefits for the students and the others attending the Hui. Participation in the Speech Awards and Hui can be used as the basis for assessments and classroom activities in a range of subject areas, such as English, te reo Māori and Social Studies.